There are hundreds of country hotels in England, each full of character, history and sophistication. Set in beautiful rural surroundings with warm welcomes, delicious food and peace and quiet, here are the five best country hotels in England. West Lodge Park is a country retreat hertfordshire, located in 35 acres of beautiful grounds, with over 800 species of trees from around the world. Soak up the tranquillity of the grounds and then relax in one of the 59 luxury bedrooms, individually named and decorated to a luxury theme. The Mary Beale restaurant offers a high-end dining experience, led by executive Chef Wayne Turner. The menu changes weekly, serving up dishes freshly prepared with locally sourced ingredients. 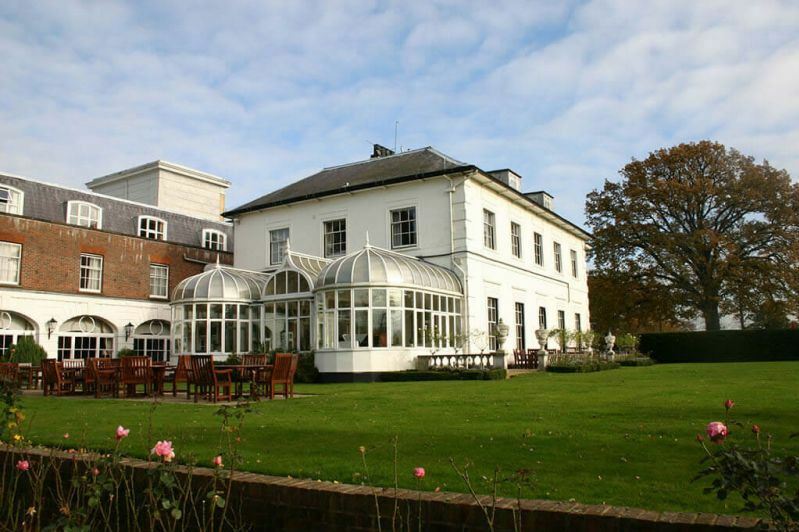 Luxury country-house hotel Lime Wood is located in the heart of the stunning New Forest national park. Attention to detail is immaculate here with attention to the little details including chunky oak doors, lush colours and soft lighting, giving a relaxing and content atmosphere. You can do yoga on the roof of the Herb House Spa in the herb garden, with treatment rooms and saunas overlooking forest views. Lime Wood is the ultimate countryside getaway, perfect for weekend breaks or an escape from home. The restaurant is fronted by celebrity chefs to produce Italian inspired dishes that are as polished as their surroundings. Lympstone Manor is an exciting new country house hotel, with Michelin-starred MBE Michael Caines at the forefront of the restaurant. The Manor’s grounds slope down to Devon’s Exe estuary, and the sunsets are notoriously beautiful here. The country house hotel has a modern twist that’s stylish and contemporary, with champagne-fabric sofas, soft powder blue walls and silver drapes. Enjoy an eight-course tasting menu, including pan-fried duck liver and fiery horseradish beef fillet. Clivedon country hotel overlooks a spectacular 19th-century garden, surrounded by acres of ancient woodland running down to the Thames. Despite its rural setting, Clivedon is accessible and located just less than an hour from London. There are 38 rooms and suites, each named after a figure from the house’s past and furnished to match. Chewton Glen Hotel is a traditional country house hotel with a set of contemporary treehouse suites in its grounds. The hotel is also home to a world-class spa with an ozone-treated indoor pool, heated outdoor pool in the gardens, and Europe’s biggest hydrotherapy pool, aromatherapy saunas and crystal steam rooms. The award-winning restaurant serves cooked breakfasts, high teas and succulent Sunday roasts in the Dining Room. The Kitchen Restaurant serves up wood fired pizzas and gourmet burgers.